The following photo images highlight some of the band’s projects and events over past twelve months. On October 15, 2011 the balladeers joined the Susquehanna Travelers, David Kincaid, Mid-Night Legion, the Irish Volunteers, Michelle Catona and Doc Walker for a “Hard Times Come Again No More: America’s Heart Songs” benefit concert series. 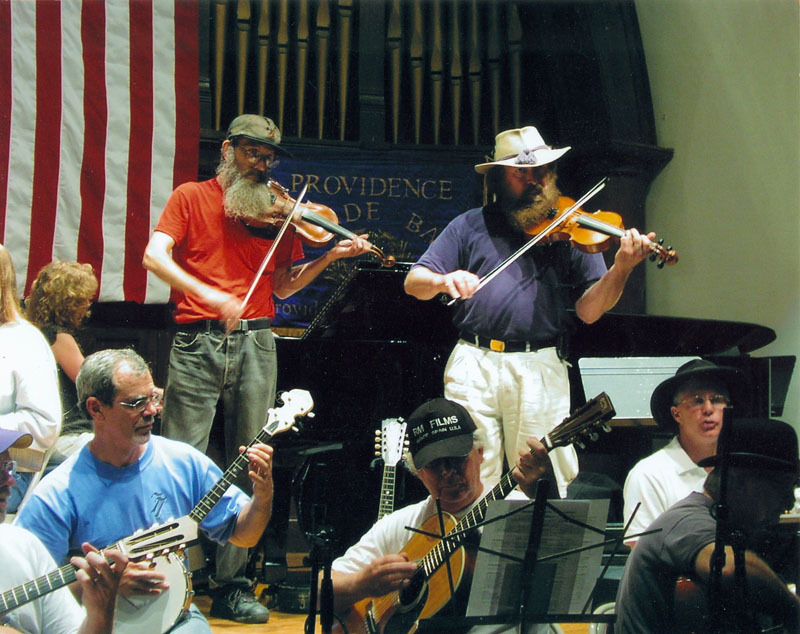 Concerts were held at the Pratt Museum, Prattsville, N.Y. and the Historic Centre Church, Windham, N.Y. The concerts raised funds to assist families who were devastated by Tropical Storm Irene. $8,000 was raised for local charities including the Community of Windham Foundation’s Adopt-A-Family Program, Prattsville Relief Fund, Pratt Museum, Huntersfield Christian Training Center, Prattsville Hose Company, Hope & Restoration Church and the Committee to Preserve the Centre Church. Additional building materials and in-kind manpower resources were also realized to help with the restoration of homes that suffered severe flood damage. 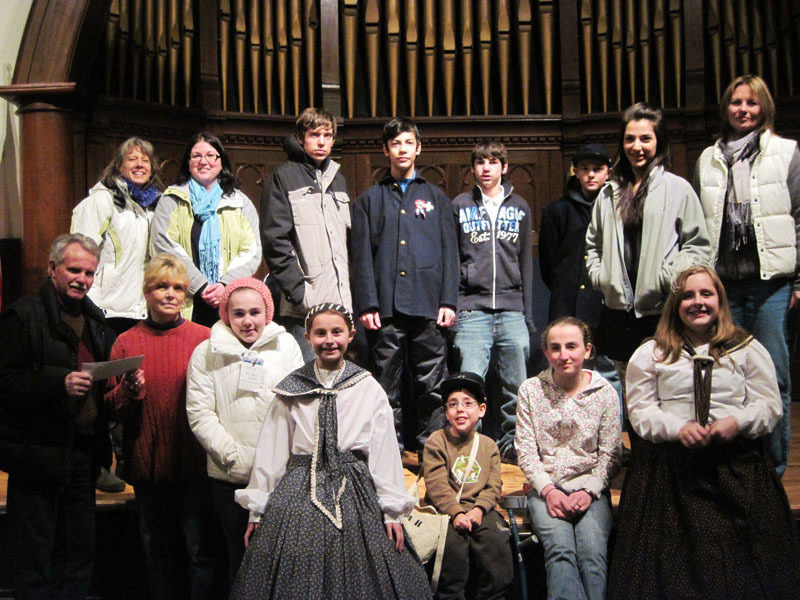 The balladeers also participated in benefit concerts at the Gallupville House in Gallupville, NY and Bethlehem Community Church, Delmar, NY to raise funds for the Schoharie Valley flood victims. 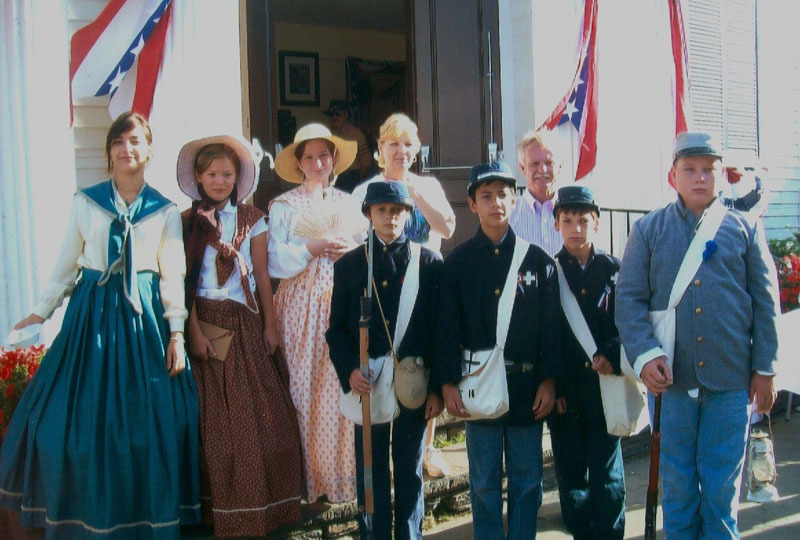 The highly successful Greene County Legislator Civil War Youth Grant project, under the leadership of band member and teacher Sharon Quinn, immerses young people 8-14 years of age in living history. 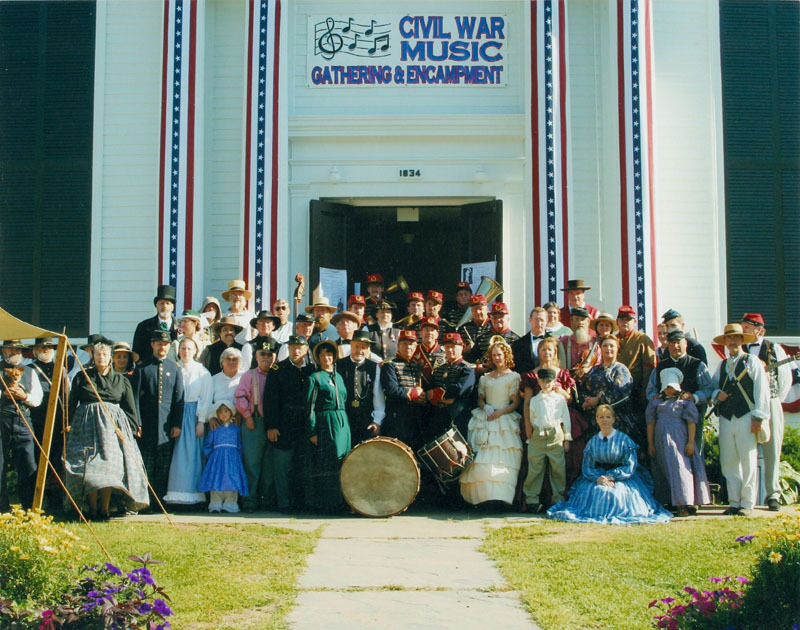 Program participants create their own period impressions and participate in the annual Civil War Heritage Music Gathering & Encampment at the Centre Church and Colonel George Watson Pratt Heritage Day at the Pratt Museum. In 2010 the museum launched its “Hardtack & Home Front Recollections: Greene County’s Role in the American Civil War” exhibit. During the first weekend of August each year musicians from across the country recreate the music landscape of mid-19th century America. Jam sessions at the musicians’ tent and a 1860. Grand Concert are highlights of the weekend.